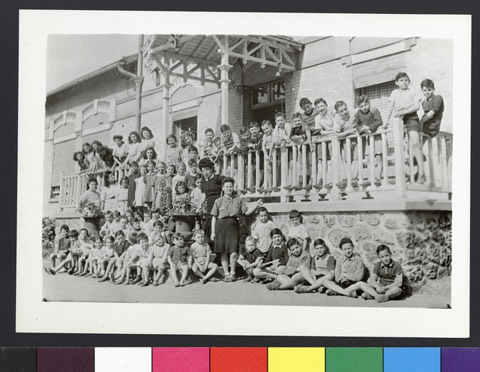 JDC - Archives : A large group of children standing outside of their orphanage. Title A large group of children standing outside of their orphanage. Description A large group of children standing outside of their orphanage in France. Working in conjunction with OSE, JDC funded 61 children’s homes scattered across France, supporting approximately 15,000 Jewish children of all nationalities.